Is the U.S. Preparing Renewed Intervention in Syria? Browse: Home / Is the U.S. Preparing Renewed Intervention in Syria? Tahrir al-Sham Hay’at (the Levant Liberation Board or the Al-Nusra Front) and the pro-militant White Helmets Organization are planning to carry out a fake chemical attack in Lattakia to later accuse the Syrian Army of the incident ahead of the government forces’ upcoming operation, media reports said. The Arabic-language website of Sputnik quoted several local sources as reporting that the White Helmets have sent 8 truck vans carrying chemicals stored in a local Chlorine Recycling Company near the town of al-Tamah at the border with Turkey to Jisr al-Shughour in Northeastern Lattakia which is under the control of Tahrir al-Sham under tight security measures. It went on to say that the Chemicals would go through Ariha town under tight security measures of Tahrir al-Sham. The White Helmets were also called for help by Tahrir al-Sham in several regions of Idlib concurrent with the arrival of chemicals in Jisr al-Shughour. In a relevant development earlier this month, the White Helmets had sent chemicals for Turkistani Islamic Party in Jisr al-Shughour in Northeastern Idlib. US President Donald Trump‘s national security adviser has warned that the United States would respond “very strongly” if forces loyal to Syrian President Bashar al-Assad use chemical weapons in an offensive to retake Idlib province. 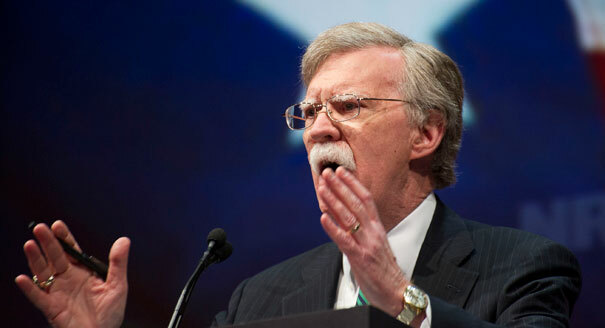 Speaking at a press conference on Wednesday during a visit to Jerusalem, John Bolton said: “We now see plans for the Syrian regime to resume offensive military activities in Idlib province. “We are obviously concerned about the possibility that Assad may use chemical weapons again. “Just so there’s no confusion here, if the Syrian regime uses chemical weapons we will respond very strongly and they really ought to think about this a long time,” he added. The Idlib region, a refuge for civilians and rebels displaced from other areas of Syria as well as powerful armed forces, was hit by a wave of air attacks and shelling this month, in a possible prelude to a full-scale government offensive. 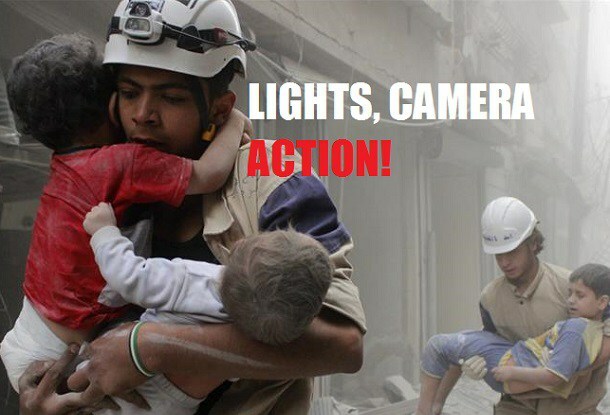 In April, the Trump administration mustered a coalition of US, French and British forces to attack Syrian government facilities allegedly related to the production of chemical weapons after a poison gas attack killed dozens of people in Douma district. Under Trump, the US has sought to disengage from Syria, where the previous administration deployed some troops and gave limited support to rebel Kurdish forces over the objections of NATO partner Turkey.